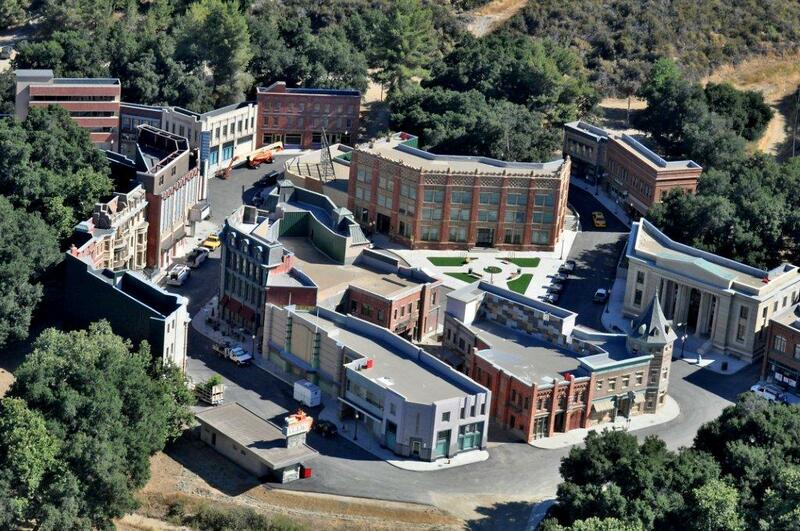 Disney and ABC Studios have completed two state-of-the-art back lots on the Golden Oak Ranch. The 42 storefront Business District was constructed entirely with filmmakers in mind. Straight, horizontal rooflines make creating CGI backdrops simpler and the layout of the buildings makes shooting one style of architecture, while leaving another style out of the scene, trouble-free. In addition, the street can embody almost any time period or city, allowing a director to make his vision come to life whether it be 1920s Chicago or present day New York. Along with the Business District, Disney and ABC Studios constructed a Residential Street, consisting of 14 homes, each embodying a different architectural style on a curved road designed to allow you to film only the houses you’d like, with the ability to leave the others out of view. Many of the houses have full backyards while all have full, manicured front yards ready to be dressed or filmed as-is. Architectural design of the homes is representative of both the East and West coasts, as well as many places in between. This entry was posted in News by Anthony Funiciello. Bookmark the permalink.